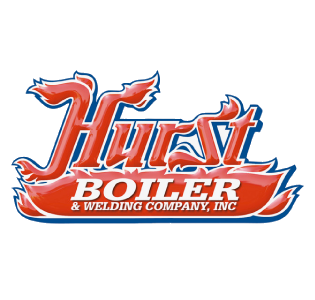 Hurst Boiler & Welding Company, Inc. has been manufacturing, designing, engineering and servicing gas, oil, coal, solid waste, wood, biomass and hybrid fuel-fired steam and hot water boilers since 1967. With installations across all industries worldwide, Hurst Boiler is recognized for the highest code standards, innovative engineering and design, Energy Star rating, and renewable, sustainable solutions for green building design and operational efficiency. Also specialized in the manufacturing of modular biomass boiler sytems, our boiler vess designs (CRN registered) include firebox, vertical tubeless, hybrid water/fire-tube, and water-tube. Modular biomass thermal to electric cogeneration systems are offered in 250 kWe, 500 kWe, 1 MWe, 3 MWe and 5 MWe packages. Hurst manufactures seven different types of biomass stoker/gasifiers, which have used 2,000+ different types of biomass fuels. In addition to a complete line of steam and hot water boilers, Hurst offers a complete line of boiler parts, and turnkey after-market products and services to deliver complete installation and operation to its customers.